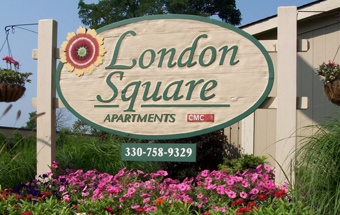 Nestled within a quiet residential area, London Square is truly Boardman’s “best kept secret.” London Square Apartments is a lovely, convenient choice in apartment living and the perfect place to call “home.” It is within walking distance to restaurants, the post office, Giant Eagle grocery store, banks and a myriad of shops and services. Southern Park Mall is a short drive away. 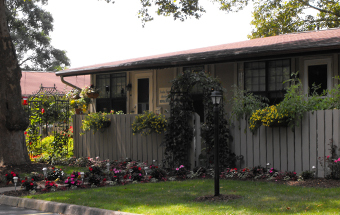 Enjoy a full measure of attractions, entertainment and recreation all close by. 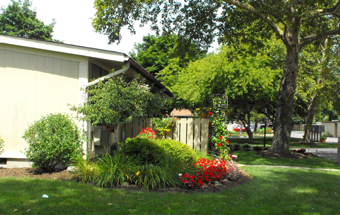 London Square Apartments is conveniently located to numerous commercial, industrial, and retail establishments which offer a variety of employment opportunities. Locals and students alike enjoy cultural as well as educational opportunities at nearby Youngstown State University. Interstate 76 provides easy access to Pittsburgh, while I-680 and I-80 provide a direct route to Cleveland.